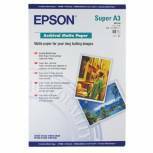 Epson A4 Archival Matte Paper (Pack of 50) C13S041342 Pack of 1 Epson S041342 Archival Matte Paper A4 for use with Stylus Colour C80/Photo 2000P/Pro 5500. Pack 50 sheets. 192gsm. 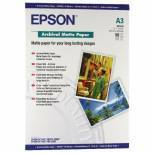 Epson Matte A3 Archival Paper 192gsm (Pack of 50) C13S041344 Pack of 1 Epson SO41344 Archival Matte Paper A3 for use with the Stylus Photo 2000P and Pro 5500. Pack 50 sheets. 192gsm. 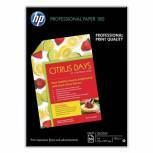 HP A4 White Professional Glossy Inkjet Paper 180gsm (Pack of 50) C6818A Pack of 1 C6818A Brochure and flyer Paper glossy A4. For all Deskjets/HP2000/2500/all in one printers. 160gsm. Pack 50. OEM: C6818A. 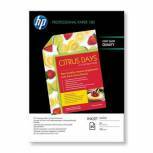 HP Professional Glossy Inkjet A3 Paper (Pack of 50) C6821A Pack of 1 Save on small print runs with HP Professional Glossy Inkjet paper. Optimised print quality and reliability with HP inkjet printers. 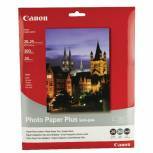 Ideal for promotional literature, business photo's and image-intensive documents and other marketing collateral. 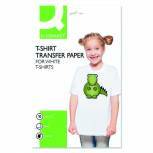 Q-Connect T-Shirt Transfer Paper (Pack of 10) KF01430 Pack of 1 Q-Connect T-Shirt Transfer Paper. Specially coated inkjet paper that transfers your own design or image onto light coloured cotton fabrics using a household iron. Suitable for use on all popular inkjet printers. 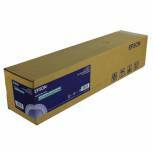 Epson Premium Water Resistant Canvas 24 Inchesx40 Metre Roll 350gsm C13S041847 Pack of 1 Epson PremierArt Water Resistant Canvas will satisfy even the most demanding professional by providing the both the finest image quality as well as a vehicle for enhanced artistic creativity. 24 inch x 40m. 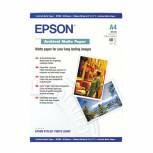 Epson A3 Plus Matte Archival Paper 192gsm (Pack of 50) C13S041340 Pack of 1 Epson SO41340 A3Plus Archival Matte Paper for use with Stylus Photo 2000P/Pro 5500. 192gsm. Pack of 50. 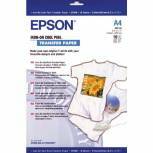 Epson Cool Peel Iron-On Transfer Paper (Pack of 10) S041154 C13S041154 Pack of 1 Iron-on transfer paper for easy customisation of your clothes. Provides a smooth and clear surface for printing. 124gsm paper weight. Reduces the amount of blot and bleed in your prints. Only requires an iron for transfer. Pack of 10 transfers. Epson Double Weight Matte Paper 24 Inches x25m 180gsm C13S041385 Pack of 1 Double weight Matte Paper is the perfect solution for affordable, high quality output from the Epson Stylus Pro series wide-format printers. Applications include promotional pieces, fine art, photographs, professional layouts, etc. 24 inch x 25m. 180gsm. Epson Double Weight Matte Paper 44 Inches x25m 180gsm C13S041387 Pack of 1 Double weight Matte Paper is the perfect solution for affordable, high quality output from the Epson Stylus Pro series wide-format printers. Applications include promotional pieces, fine art, photographs, professional layouts, etc. 44 inch x 25m. 180gsm. 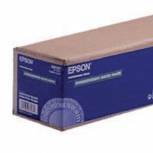 Epson Enhanced Matte Paper 24 Inches x30.5m 189gsm C13S041595 Pack of 1 Enhanced Matte Paper is a bright white, non-glare, matte surface substrate with a 40% increase in colour gamut compared to that of the existing Double weight Matte and Watercolour Paper Radiant White media. 24 inch x 30.5m. 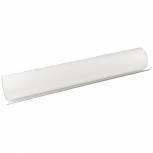 Canon Bubble Jet Paper Semi-Gloss SG-201 8x10 Inches (Pack of 20) Sheets 1686B018 Pack of 1 Canon semi-gloss paper SG-201 8 x 10 inch. Satin finish with a texture of real photographic paper. Produces brilliant photographs with a reduced gloss for a softer finish. 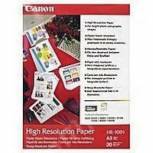 Canon High Resolution Inkjet A4 Paper 106gsm (Pack of 200) 1033A001 Pack of 1 Canon High Resolution Paper. HR-101A4200. Size A4. For use with BJC-50/80/240/250/610/620/4200/4300/4550/5000. Size A4. Manufacturers reference HR101A4200. Pack 200 sheets. Colour - White. 106gsm. Pack 200. 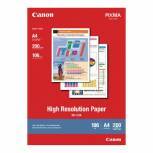 Canon High Resolution Inkjet A3 Paper 106gsm (Pack of 100) 1033A005 Pack of 1 Canon High Resolution Inkjet Paper A3 Pk 100 HR-101A3 Bright white coated paper for texts and graphics. High ink absorption means no smudging. Perfect for business reports, charts and graphs. 106gsm. 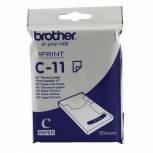 Brother Thermal Printer Paper A7 White (Pack of 50) C11 Pack of 1 Thermal printer paper cassette for use with Brother thermal printers. Size: A7 (74x105mm). Compatible with MW-120 and MW-140BT. Paper thickness: 80 micron.